Have you all shopped the Nordstrom Anniversary Sale Early Access yet?? If you don't have a Nordstrom card, don't worry, you can shop the sale this Friday when it opens up to the public! 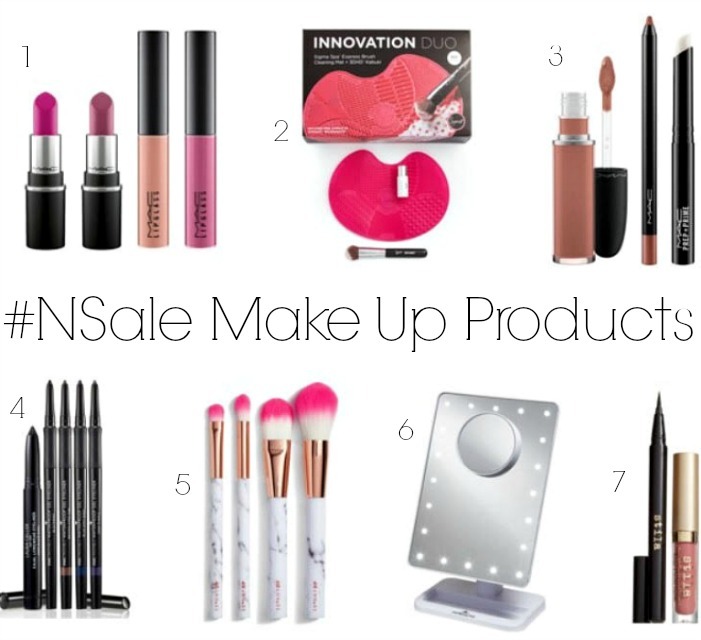 These are my favorite make up products included in the sale. There are some really good deals, especially the MAC and Laura Geller sets. I absolutely love the MAC Nice 'n Spicy lip set! The color is gorgeous for every day wear and it comes with a lip primer (I wear this primer under all my lipsticks). Also, the Laura Geller eye liners are usually around $20 a piece and this set has 5 liners for $30! I wear Laura Geller eye liner every day so I'm definitely planning to order the set (GREAT for sensitive eyes). If you haven't already, be sure to check out this post for a round up of my fave nsale clothing, accessories and handbags!